Disclaimer: I was provided with 1 complimentary pair of Physiclo Resistance Tights to wear test in exchange for an honest product review. No other compensation was received and, as always, thoughts are unbiased and completely my own. 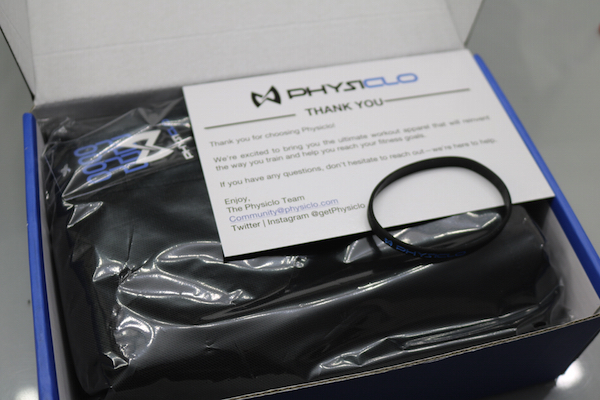 I was extremely excited when I was approached by Physiclo to give their popular resistance tights a test. Why? Because they are tights with built-in resistance bands designed to allow you to train harder by activating the quads, hamstrings, hip abductors and glutes. Since I am just now beginning my recovery training and am not allowed to push myself as hard as I'm used to, the Physiclo Resistance Tights will give me the extra push I need to train harder without injury. The resistance tights were simple to order based on the size chart on the website. I went up a size thinking that because my quads are so huge I needed bigger tights, but I was wrong. Definitely follow the size chart on the website. The packaging was small, simple and sturdy. I really appreciate that. I am not a fan of large wasteful boxes. Physiclo provides instructions indicating how to put the resistance tights on. Much like compression socks, do it once and you've figured it out. They might feel too tight at first, but stick your hand in and adjust the bands a bit and you'll find they fit fine. Also, as the website indicates, pull them up to your knees first then wiggle yourself into the tights from the hips up. I put on my new resistance tights and set out for a fast-paced 30 minute walk on the trail. I was able to really feel the bands stretching in different directions as I pumped my legs. 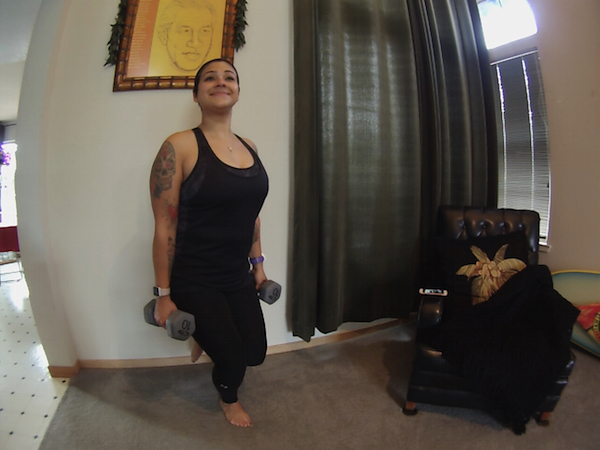 This workout felt particularly exhilarating because, since I can't run, it was fun to add lunges into my fast-paced walk. I could actually feel the resistance. When my training time was up and I began stretching it occurred to me that these Physiclo Resistance Tights would be perfect for yoga. With my body working harder against the resistance I am bound to get greater gains than with standard yoga pants. So the next day I used the Physiclo Resistance Tights during my yoga practice. Even a basic simple pose, like Chair Pose, becomes more challenging when there is resistance against your muscles. According to their website, Pysiclo Resistance Tights provide a 14% increase in calories burned and 23% increase in muscle activity. The following week I was able to add weights back into my routine. It was definitely more challenging to do squats with the resistance tights on. Wow. I really felt how much more my quads and glutes were engaged. I've been using these during my 21 Day Fix Extreme workouts and I am really enjoying the extra challenge. If you're interested in pushing yourself a little harder and getting an extra boost out of your training, visit Physiclo.com and try out their Resistance line of shorts, capris and tights.